YouTube brought in this feature a while ago and it is quickly gaining momentum. Super Chat is where people can buy a chat on your live stream so that their chat is pinned at the top of your video for other people to see. This is only available in certain countries at the moment but it will be rolled out globally in the future. This is where you would review a product and have a link to the product in your video or your video’s description. You would then get a commission for the sale based on clicks or conversions from your YouTube video. This is particularly popular in the electronics niche. If reviewing products is your thing, then this should definitely be added to your channel so that you can get additional revenue from other websites. This is relevant to bigger YouTube channels as well as smaller channels in very focused niches. The more focused you are in a particular niche, the more attractive you will be for specific brands. Famebit.com and Socialbluebook.com allow you to see what’s available and approach brands with a proposal. 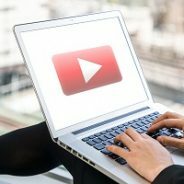 Need help with your YouTube marketing strategy? Then contact WSI OMS today.